In this third week of our spiritual journey through Lent, the Scripture readings remind us of what we might call the “Moses stage” of salvation history, and also drive home the theme of repentance during this holy season. The First Readings during Lent are intended to help teach us, or at least remind us, about the broad strokes of God’s history with the people of Israel. Last week we had the reading about the “covenant between the pieces” in Genesis 15, which called to mind for us the “Abraham stage” or “patriarchal stage” of salvation history. This week, in the First Reading, Psalm, and Second Reading, we are reminded of the “Moses stage”—the Exodus from Egypt, the crossing of the Red Sea, the journey to Sinai, the giving of the Law, the wilderness wanderings, and finally Moses’ death on the borders of the Promised Land. If we read the broader context of both passages, we see the connection between last week’s First Reading and this week’s. Last week, when God made the covenant with Abraham, he predicted to Abraham that his descendants would go down to Egypt an become very numerous there, until God led them out into the Land of Canaan (the “Promised Land”). At the beginning of Exodus (1:7) we find out that Abraham’s descendants have indeed become very numerous in Egypt, and now, in Exodus 3, we observe God acting to fulfill his promise to Abraham’s descendants, by preparing for them a deliverer, Moses. God acts here to keep his covenant. That is the point of the repetition of his title as the “God of Abraham, Isaac, and Jacob,” that is, the God who made a covenant with the Patriarchs. Moses was introduced in Exodus 2, and we remember his backstory: set to float in the Nile as an infant, he was found and raised by Pharaoh’s daughter, and seemed destined for a position of influence at court. However, his rash temper got the best of him, he slew an Egyptian taskmaster, and had to flee Egypt as a traitor and murderer. Was God’s “Plan A” for the salvation of Israel that Moses would use his influence at court, when the time came, to free the people peaceably? Did Moses’ temper derail “Plan A”? If so, it would not be the only time in salvation history in which God worked with the mistakes and failings of his human partners, and adapted his plan of salvation accordingly. In any event, Moses in today’s reading has descended to the lowly position of a shepherd, an occupation so despised in Egyptian culture that they would not even eat with such men (Gen 43:32). In the midst of his humble existence, however, God reveals himself to Moses. The flame of God’s presence—in a sense, the same flame that shown in the torch and burning fire pot from last week—appears once more, in a bush. Moses steps aside to see the bush, and finds himself in the very presence of God. After being commissioned by God to lead the Israelites out of Egypt, Moses asks to know God’s Name. A word is necessary about the concept of the “name” in Hebrew thought. The ancient Israelites did not have developed philosophical schools or terminology, but that does not mean they were incapable of profound thought, both theologically and philosophically. In Hebrew culture, the “name” designated the essence or being of the person, not simply a phonetic unit used as his or her label. For this reason, there are several passages of Scripture where the “name” of God or someone else is really more a description of the attributes or essence of the person than an actual title or titles (see Exod 34:5-7; Isa 9:6). So God reveals his name to Moses as “I AM WHO AM,” that is to say, “I am the one truly existent one; I am the God who exists, who IS.” By implication, the other gods do not exist, or at least, they do not exist as God, even if they have some lesser existence as demons or spirits. While the later Greek philosophical concept of a “necessary being” was not developed at this point, God is identifying himself to Moses as the one Necessary Being, the one who exists of Himself, and therefore the source of existence for all other beings. When Richard Dawkins and other new atheists snidely ask the question, “Who made God?”, they are only showing a kind of adolescent ignorance of what the philosophical and theological concept of “God” is. God is, by definition, the eternal being, a being who has always existed and has not coming into existence because of some prior or greater cause. Logically, there must be some such being, because the only other alternative for the origin of the cosmos is an infinite regression of temporary causes, which is simply not possible. An infinite regression of causes is a logical impossibility, the worst kind of impossibility, like a square circle or a married bachelor (on this see Fr. Robert Spitzer). We can know with certainty, therefore, that there is a God, understood as an eternal being that brings other things into existence but is not Himself brought into existence by any other thing. Although God’s true “name” is “I AM WHO AM,” the name given to Moses by which the Israelites were to refer to God is actually a form of the Hebrew verb “to be” meaning “HE IS.” This name is spelled, in Hebrew, with the consonants YHWH. In some older English Bibles, this name was transliterated as “Jehovah” (more on that later). In most current English Bibles, the divine name YHWH is rendered by the English LORD in all caps. The second commandment forbids the misuse of God’s name. Later in Jewish history (after the Babylonian exile), the Jews stopped using God’s name at all, in order to avoid ever misusing it. When the divine name YHWH was encountered while reading the Scriptures aloud, they would say instead the Hebrew word adonai, “Lord.” This is the origin of our use of the word “Lord” as a title for God and Jesus Christ. Now about that term “Jehovah.” Ancient Hebrew was only written with consonants. In the middle ages, Jewish scribes developed a way of writing in the vowels which, up till then, had largely been preserved only through oral tradition. However, scribal practice was to leave all consonants of the ancient text intact, while writing the vowels of what was actually pronounced in worship. For this reason, Jewish scribes wrote the Hebrew vowels of adonai onto the divine name consonants “YHWH” (or “JHVH” in old English and German) and this appeared (in older English) as the name “JeHoVaH.” However, this is certainly not how the ancient name of God was pronounced. Scholars suggest it sounded like “Yahweh,” but Christian tradition follows the example of Jesus, the Apostles, and Judaism in using the title “Lord” (Lat. dominus) instead of the phonetic name of God. This is why the name “Yahweh” is not used in the Catholic liturgy. In the New Testament, Jesus identifies himself as YHWH, as the great I AM. He does this especially in the Gospel of John, most notably at the end of John 8, where he declares to the crowd debating with him, “Before Abraham was, I AM!” The crowd correctly realizes that this is a divine claim, and thinking him to be blaspheming, they take up stones against him. Phil. 2:9 Therefore God has highly exalted him and bestowed on him the name which is above every name, 10 that at the name of Jesus every knee should bow, in heaven and on earth and under the earth, 11 and every tongue confess that Jesus Christ is Lord, to the glory of God the Father. “Jesus” is the new “Holy Name” that reveals who God is in his essence. Not only is he the God of the philosophers, the eternal self-existent necessary being, but he is the one who loves you and I so much as to die for us to prove his love and invite us to share eternity with him. Getting back to Psalm 103, let’s observe that this Psalm incorporates part of the “Name of the LORD” from Exodus 34:5-7 in Ps 103:8: “The LORD is merciful and gracious, slow to anger and abounding in steadfast love.” An abbreviation of this verse is employed as our refrain in worship. It’s a wonderful thing to be able to reason to the existence of God at least as an eternal, all-powerful, intelligent being. Anyone with a high school education can be trained in the logical steps that lead unfailingly to that conclusion. But how much more wonderful to have it revealed that God is much more than that, he is a Person abounding in love, compassion, and mercy! That is beyond anything that we could attain by reason and logic alone. This Second Reading serves to remind us of the “rest of the story” of Moses: the crossing of the Red Sea, following the pillar of cloud in the wilderness, the miraculous provision of water from the rock, and the many rebellions in the desert (see Num 11–21 & 25). There is a moral sense for the contemporary believer in all these events: they happened “as examples.” In the rebellious Israelites in the wilderness, so quick to forget God’s blessings and to lose faith, we see our own tendencies, and take warning. At Easter, the catechumens will experience true Baptism and with them we will “drink from the rock that is Christ” (the Eucharistic blood). May we be more faithful than those of old. Jesus refers to some particular tragedies that had taken place recently and were fresh on the mind of his contemporaries. The historian Josephus, our main source for the history of the times, does not record either of these events, but the atrocities against the Galileans mentioned here are in keeping with Pontius Pilate’s known character, at least with his heavy-handed style of governance early in his tenure as governor (see Josephus’ Jewish War 2:169-177), before the unrest and dissatisfaction under his rule began to weaken his position with the imperial court, which wanted a Judaean governor who would keep the populace quiet and taxable. Jesus is rebuking a tendency among the people of his day, including his disciples, to see one’s fate in death, whether favorable or unfavorable, as a divine assessment of the righteousness of one’s life. In the Kingdom of Heaven, things are reversed. Those who die in persecution may in fact be “blessed” (Matt 5:10-12). The fig tree is, in the first instance, a symbol of the City of Jerusalem, which Jesus is about to visit. When he comes, he will not find the fruit of repentance there. As a result, the city will ultimately be destroyed (in a sense, destroy itself) in AD 70. On the other hand, the fig tree is a type of each one of us, and a warning to us. The LORD is gracious and merciful, as the earlier readings have proclaimed, but there is a practical limit to the time this “window” of grace is open to us. We only have this short life to take advantage of God’s mercy and begin to bear the fruit of repentance. What does it mean to bear fruit? 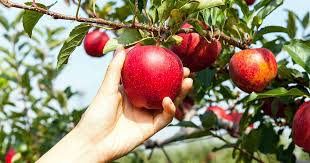 In the New Testament, “fruit” are commonly the virtues that demonstrate interior righteousness, as in the “fruit of the Spirit”: love, joy, peace, patience, goodness, kindness, gentleness, faithfulness, and self control (Gal 5:22). However, “fruit” may also refer to reproducing one’s faith in others, that is, in bringing others to salvation. This may be the sense of “fruit” in John 15:1-16. Gal. 5:16 But I say, walk by the Spirit, and do not gratify the desires of the flesh. 17 For the desires of the flesh are against the Spirit, and the desires of the Spirit are against the flesh; for these are opposed to each other, to prevent you from doing what you would. 18 But if you are led by the Spirit you are not under the law. 19 Now the works of the flesh are plain: fornication, impurity, licentiousness, 20 idolatry, sorcery, enmity, strife, jealousy, anger, selfishness, dissension, party spirit, 21 envy, drunkenness, carousing, and the like. I warn you, as I warned you before, that those who do such things shall not inherit the kingdom of God. 22 But the fruit of the Spirit is love, joy, peace, patience, kindness, goodness, faithfulness, 23 gentleness, self-control; against such there is no law. 24 And those who belong to Christ Jesus have crucified the flesh with its passions and desires. In this week’s Gospel, the Church is urging us to take advantage of God’s mercy in this holy season of Lent truly to change our lives around, to be converted and bear fruit pleasing to God. Our practices of self-denial and mortification are ways by which we “crucify the flesh with its passions and desires,” so that we can truly be free to live out those virtues that Scripture identifies as the fruit of the Holy Spirit.